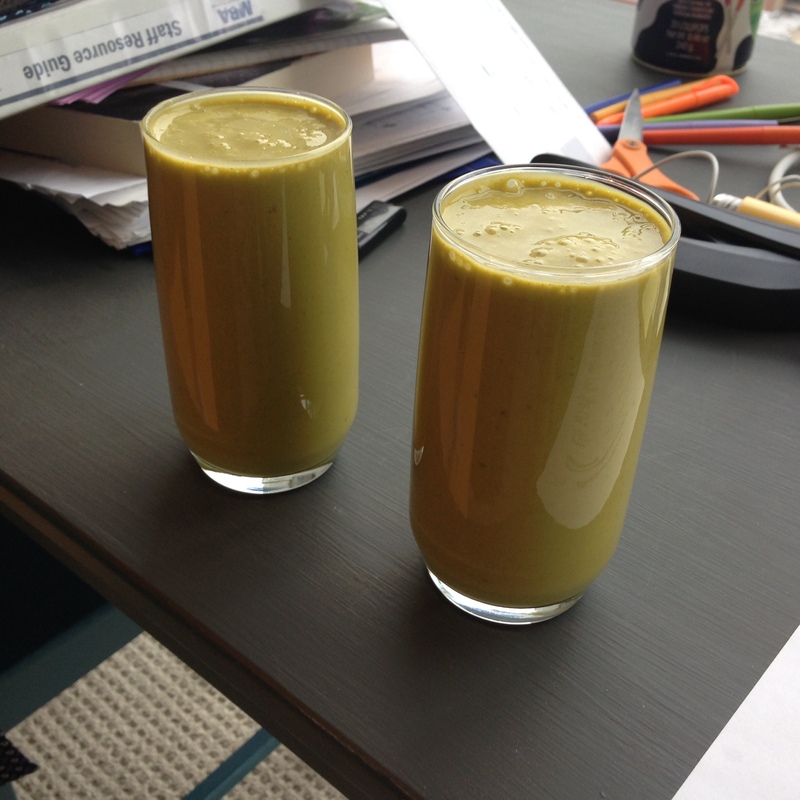 Today I’ve got a recipe to share, inspired by and adapted from Giselle’s Pumpkin Pie Green Smoothie. 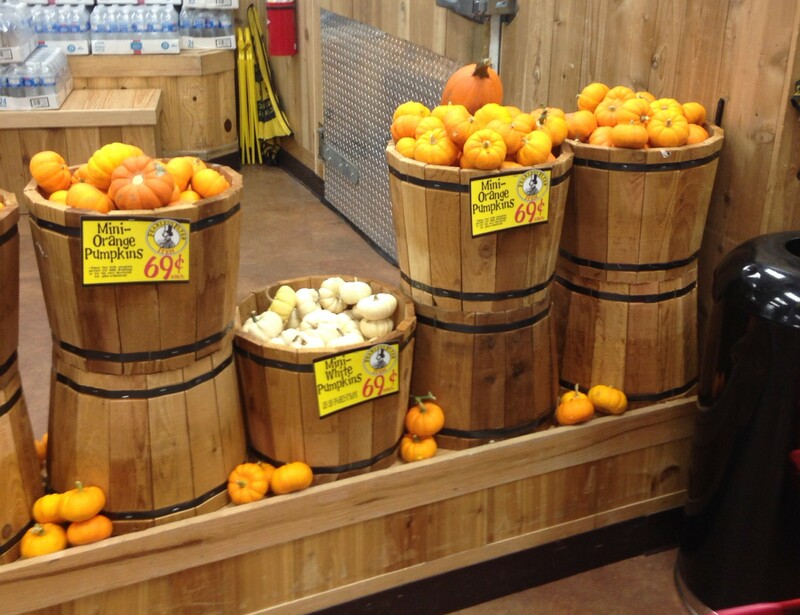 Furthermore, there was absolutely no way that I could walk through the pumpkin-land of Trader Joe’s without caving and buying all the things at least a few pumpkin items. 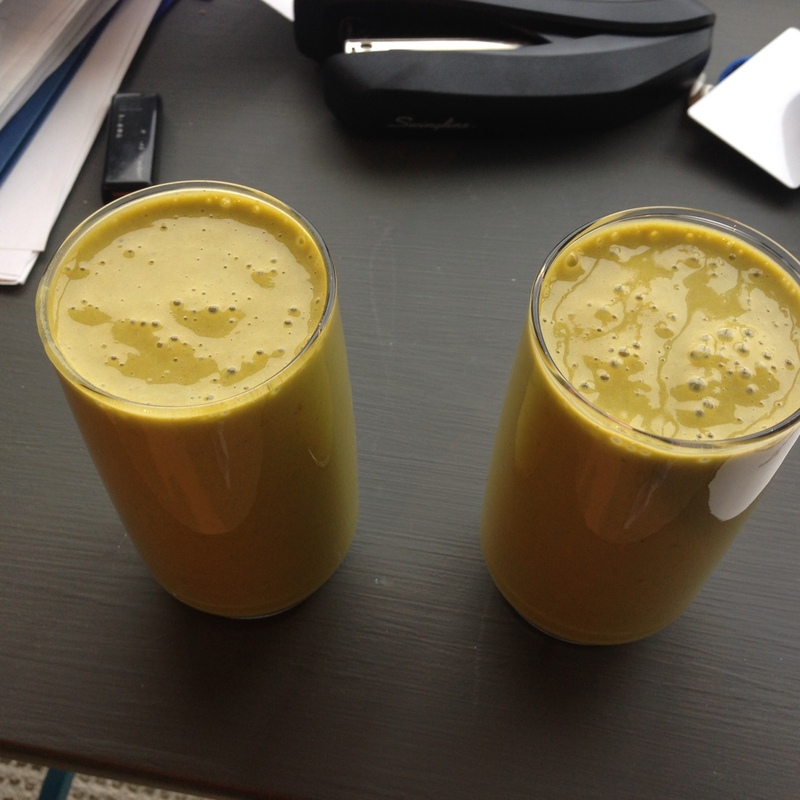 After blending all the ingredients in her Vitamix (I have a serious love affair with that machine), we got a product that looked somewhat…less than appealing. Now that I’ve made this baby look soooo appealing, it’s time to share the recipe! Add all ingredients to blender, and process until smooth. If you try this recipe, please comment below and let me know what you think! It’s not exactly like pumpkin pie, but is a nice little healthified version that’s packed with protein and fiber! Last but not least, Happy Canadian Thanksgiving! I had so much to recap yesterday from the weekend that I didn’t get around to mentioning it in my post, so to conclude today, here’s a little snapshot of my dinner last night, courtesy of the Princeton Canadian Club! 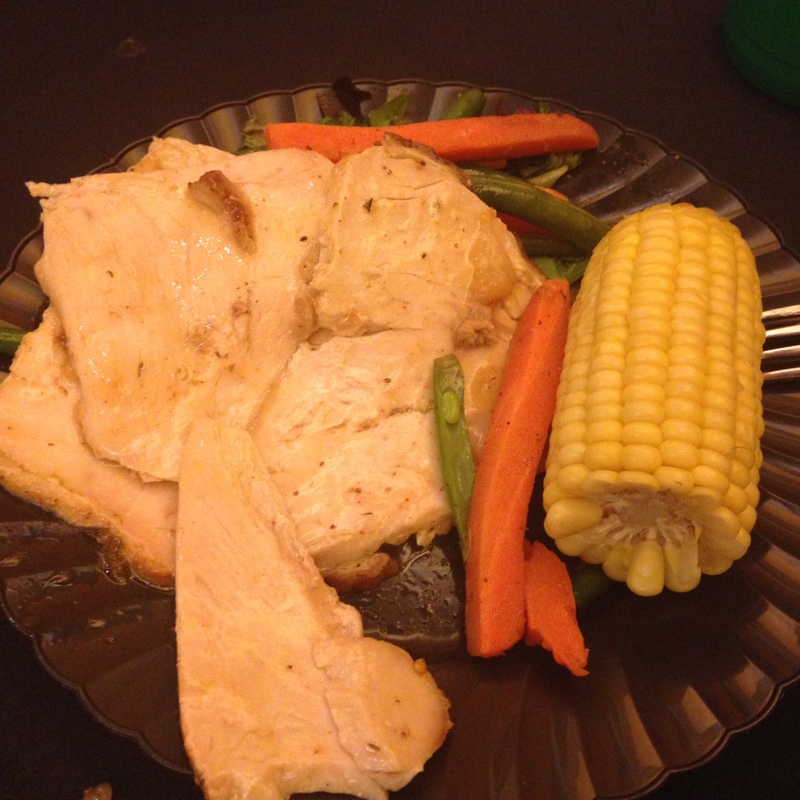 I filled my plate with turkey, corn on the cob, green salad, green beans and carrots. I also had to have a piece (and a half) of pumpkin pie to finish off the meal. After all, what is Thanksgiving without pumpkin pie?! I have to admit, it wasn’t as good as my grandmother’s, but let’s be honest- does anything ever beat your grandmother’s home cooking? That’s all from me! Now that I’ve blogged and had my nice 24oz Wawa Pumpkin spice coffee, I’ve got to go do some real schoolwork! 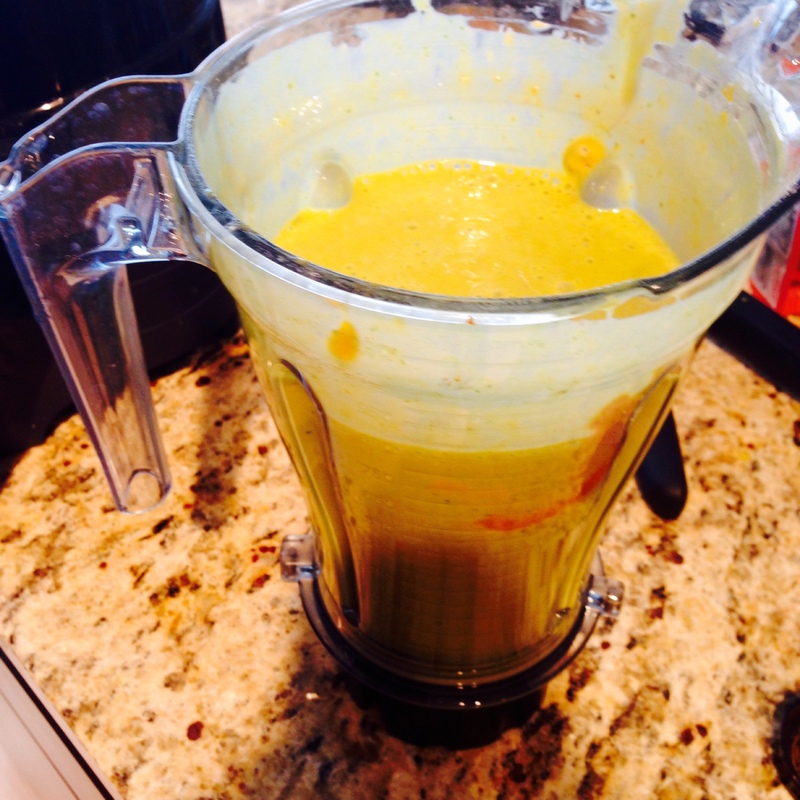 Have you ever made a pumpkin smoothie? What’s your favourite Thanksgiving food? Do you like your Grandmother’s home cooking? If so, what’s your favourite thing that she makes?